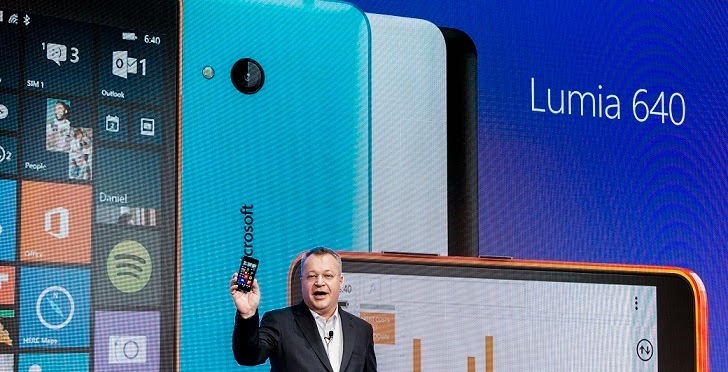 At Mobile World Congress 2015, Microsoft introduced Lumia 640 and Lumia 640 XL, two new smartphones that give people greater flexibility and freedom to choose when and where they get things done. Both these phones were expected to roll out globally in March/April and will be available in matte cyan, orange and black, as well as both matte and glossy white. The Lumia 640 and Lumia 640 XL will be available in single-SIM and dual-SIM LTE and dual-SIM 3G variants. Lumia 640 XL will also be available as a single-SIM 3G variant. Pricing will vary by market and operator. Now, the news is coming from gsmarena as said, Microsoft has sent out invites to members of India for the launch of Lumia 640 and Lumia 640 XL. The invite carries the following punch line " Inspiration doesn't only work 9 to 5! " To Recap, Microsoft Lumia 640 features a 5" IPS HD Clear Black display, 1.2 GHz Snapdragon 400 SoC, 1GB of RAM, 8GB of internal storage, 8MP rear camera with LED flash, 0.9MP front-facing camera, and 2,500 mAh battery. The Lumia 640 XL has a 5.7" IPS HD Clear Black display packing the same hardware as the Lumia 640 albeit with a Carl Zeiss optics powered 13MP AF rear camera and 5MP HD front camera. The Lumia 640 is rumored to be priced at INR 9,999 ($161), while the Lumia 640 XL will be priced at INR13,999 ($226) and will be Dual SIM versions.